3. Jika support, kami akan berikan SAMPEL jurnal/ebook. dan harga dari jurnal/ebook itu sendiri. 4. Setelah Itu kami akan memberikan No.Rekening untuk Pembayaran. 6. GARANSI 1 HARI setelah pemberian link unduh. "JADI MOHON LANGSUNG DICEK"
To capture the diversity within environmentalism, this dictionary takes a global tack with a focus on ideas, events, institutions, initiatives, and green movements since the 1960s. It strives to avoid a common error in many histories of environmentalism: to exaggerate the input of the wealthy countries of Europe and North America and understate the influence of Africa, Asia, South and Central America, and the Polar Regions. It aims as well for a more comprehensive analysis than most histories of the modern environmental movement, understanding environmentalism as emerging not only from grassroots and formal nongovernmental associations, but also from corporate, governmental, and intergovernmental organizations and initiatives. This assumes the ideas and energy infusing environmentalism with political purpose arise from hundreds of thousands of sources: from corporate boardrooms to bureaucratic policies to international negotiations to activists. Thus, environmentalists are not only indigenous people blocking a logging road, Greenpeace activists protesting a seal hunt, or green candidates contesting an election; an equal or larger number of environmentalists are working within the Japanese bureaucracy to implement environmental policies, within the World Bank to assess the environmental impacts of loans, within Wal-Mart to green its purchasing practices, or within intergovernmental forums to negotiate international environmental agreements. 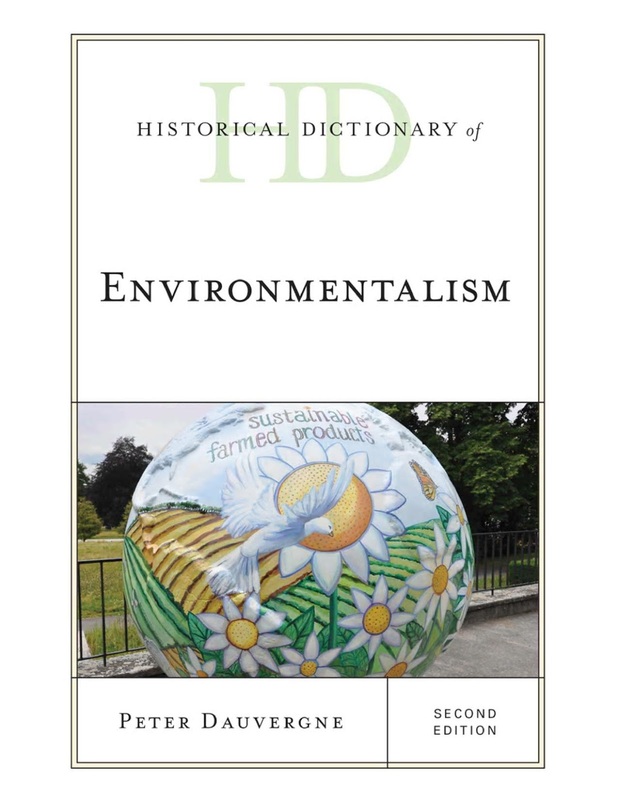 This second edition ofHistorical Dictionary of Environmentalism contains a chronology, an introduction, and an extensive bibliography. The dictionary section has over 300 cross-referenced entries on important events, issues, organizations, ideas, and people shaping the direction of environmentalism worldwide. This book is an excellent access point for students, researchers, and anyone wanting to know more about environmentalism.